The next stop of the National Snocross Tour will land only 40 miles from Tucker’s home. On December 10-11, the best snocross racers in the world will invade Newman Outdoor Field in Fargo, North Dakota. It sounds like a homefield advantage for the Monster Energy/Arctic Cat pilot! Click HERE for Tucker’s full schedule to find a race near you! Can’t make it to Duluth for the snocross season open? Watch the races LIVE from the comfort of your home for free! ISOC will be providing a web stream of the weekend’s races starting Friday morning at 9 a.m. Log on to www.isocracing.com to watch the drama of the first race of the season unfold. Click HERE to download the race schedule so you don’t miss any of the action. Stay updated on the go with the Tucker Hibbert Official Facebook Page. A member of Team 68 will update his Facebook throughout the weekend with instant race results and trackside videos. The first video is already posted. If you’re lucky, you might even get a sneak peak under the hood of the no. 68 Monster Energy/Arctic Cat! Mark your calendars! All eight stops of the AMSOIL Championship Snocross Series will be broadcasted on VERSUS this winter. Click HERE for the full broadcast schedule. This race report is a couple months overdue but I still wanted to fill you in on my Chequamegon Fat Tire Festival experience. 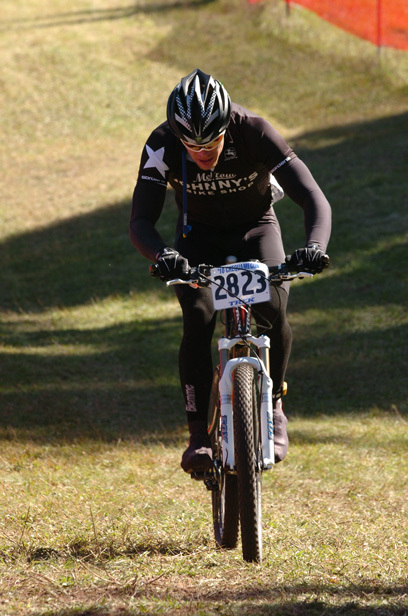 On September 18, I lined up for my third Fat Tire Festival cross-country mountain bike race. This year was different. Instead up waking up at 5 a.m. and leaving my bike in staging with 1200 other bikes for the 40-mile race, I slept in. Since I was just cleared for full activity a couple weeks prior from my knee surgery, I opted to race the 16-mile event with a few friends. I didn’t know what to expect and the only goal I had was to ride as hard as I could. I lined up around 700th place in a mass of nearly 900 people and bikes. It was cool and sunny, perfect for a race. When the gun shot, it felt like five minutes before I could clip-in and start pedaling. The race started on a barricaded city street in Cable, WI. I didn’t see any major pile ups but there were few close calls. I spent the first nine miles weaving in and out of riders and their bikes trying to make my way up to the lead pack. The course gradually narrowed and eventually got into the woods. By that time, I had finally joined a group of riders riding at my pace. 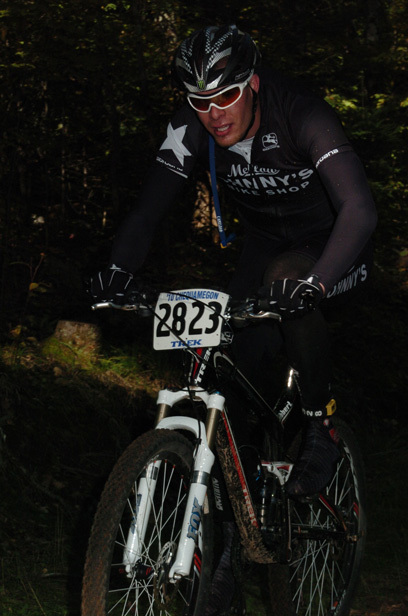 I pinned it the entire race and was the 46th rider to cross the finish line at Telemark Resort. I finished at 1:00.27.1 which put me fifth in the 25-29 age group. Next year, I’m applying for a preferred start and want to win.